At the Canvas Man we care. 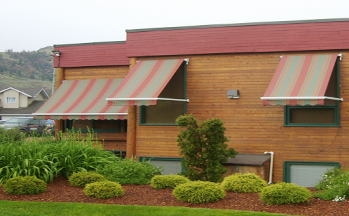 We care about you and your family being comfortable, about your health, and about you maximizing your fun time. We play too. We know. 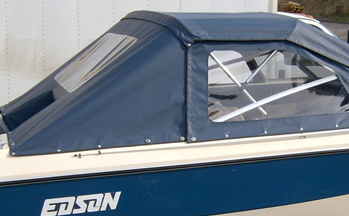 The Canvas Man specializes in manufacturing boat tops, Bow Buddies, reupholstering boat seats, Commercial awnings and retractable awnings for both homes and businesses. 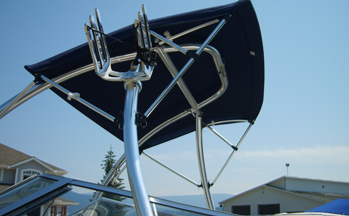 The Canvas Man is located at 3877 Captain’s Village Way, Shuswap Lake at Captain’s Village Marina. The mobile unit is available throughout BC. The Canvas Man provides service to all markets, from commercial to recreational. Biminis come in all shapes and sizes! There pretty much isn’t anything we can’t do! If you have an idea, we can make it happen! Broke something? Lost something? Don’t worry! We have parts! Nothing lasts forever and we can help keep everything running smoothly and looking brand new! 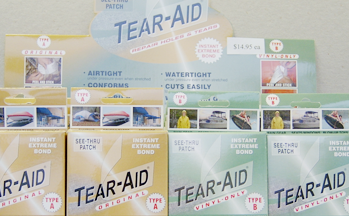 Is your boat looking a little weathered? Cracked upholstery or popped stitching? It’s OK, we can fix that! 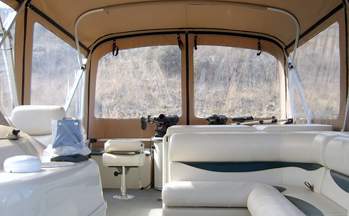 Or completely update it and give your boat an extreme make over with a full new interior!